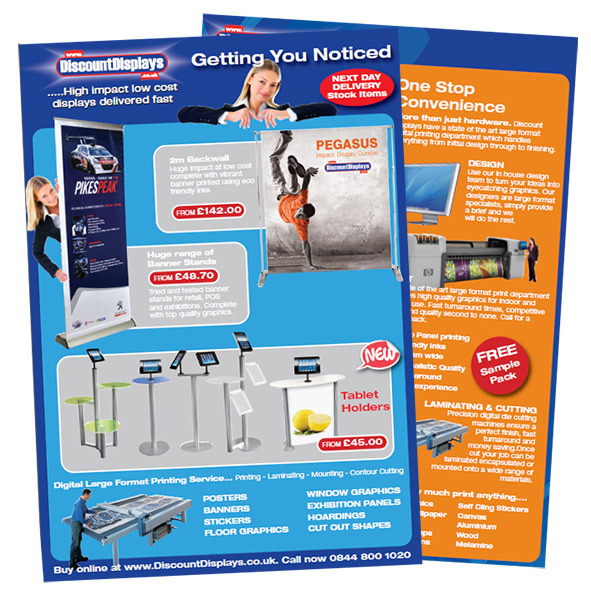 Our brochure is packed full of the latest deals and top selling display and print products. You can download the brochure in PDF format by clicking the link below or request a printed copy. To request a printed copy, please send us an e-mail at sales@discountdisplays.co.uk with your preferred delivery address. Browse our range of products, send to clients or colleagues or print out.